It's just my honey and me, in Culver City for Thanksgiving this year. 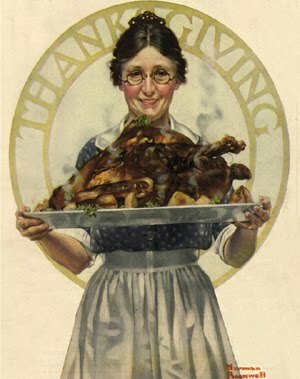 And I can't believe I'm saying this but I'm actually looking forward to cooking thanksgiving dinner. I almost never cook and by that I mean I almost NEVER cook. So don't worry this will never be a cooking blog. I'm sticking to very traditional dishes; Turkey, mash potatoes, Brussels sprouts, and an experimental stuffing. No green bean casserole because I'm from MN, the only state to have its own word for casserole "Hot Dish", and if I never eat another "Hot Dish" in my life I will die happy. Macaroni and cheese and lasagna are exempt from this hot dish ban. And the honey thinks peas go with mash potatoes so there will be peas. Am I the only one that finds that strange? I usually spend all my holidays in Stockton and I'm going to miss the French/ Italian/ American fusion thanksgiving my dear friend V puts on. If you think that's not possible, your totally wrong. The turkey is cooked with these amazing Provence spices, there's this, dream about all year, risotto, and a very traditional fruit salad. We all dress up, not too fancy, but just fancy enough to make it special. And in true European style yummy wine in the kitchen, on the table, and in front of the fire after dinner. I'll miss this dinner so much, people and pageantry, but I'm looking forward to spending the day just the two of us. I hope your Thanksgiving is special, happy, and full of love. I also hope your turkey is juicy and fully cooked.